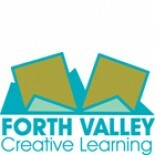 Forth Valley Creative Learning | Forth Valley Creative Learning is a new collaboration between Education in Falkirk, Stirling and Clackmannanshire, creating opportunities together to explore creativity and creative learning through creative conversations, talks, CPD and networks. Will this be in the test? Can I be more creative?